Today after my leg workout, I went to Whole Foods grocery. Whole Foods is not a store where I do my weekly shopping but if there is a special item that I want, they will usually have it. For example, they have those lovely machines that will grind up nuts for you to make your own nut butter without the added sugar. They also have some meat and really fresh, local seafood that you will not find at other chains. Today I picked up some salsa and other seasonings and found a different type of almond milk that I wanted to try. 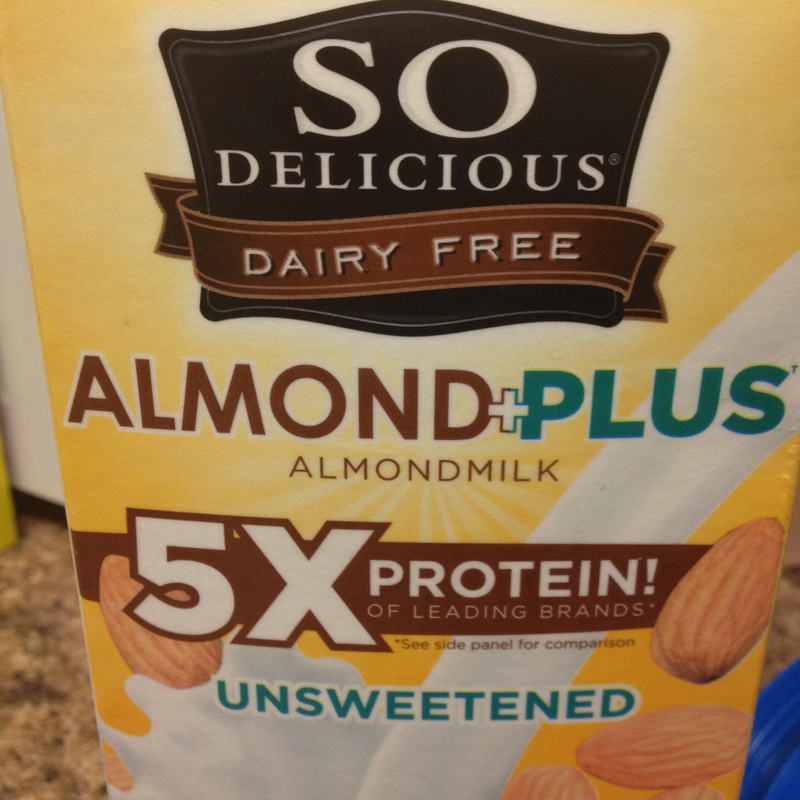 The milk is made by the “So Delicious” company and has 5 grams of protein in one cup. One cup is only 40 calories, contains 2 grams of fat, and 0 grams of sugar, and only 1 carb. 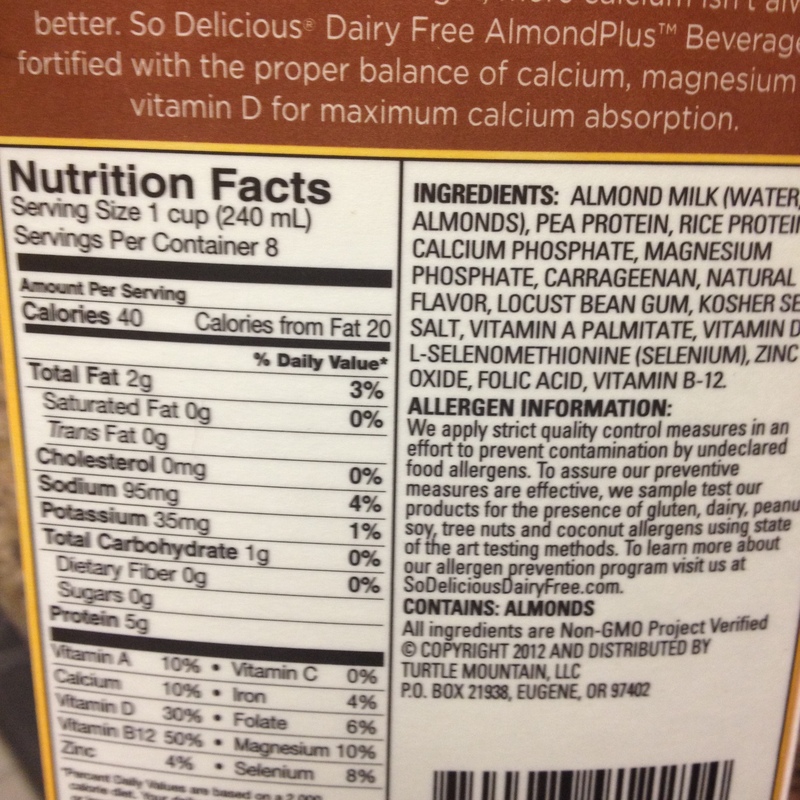 It also only has 95 mg of sodium….some meat products contain more sodium than that! I will be using this up until the last week of competition prep because it is DELICIOUS in my protein shake. It is better than ice cream! Here is my recipe for a delicious vanilla protein shake that will have you licking the cup when you are finished. (That might just be me because just about everything tastes good at this point). Blend for about 60-90 seconds. 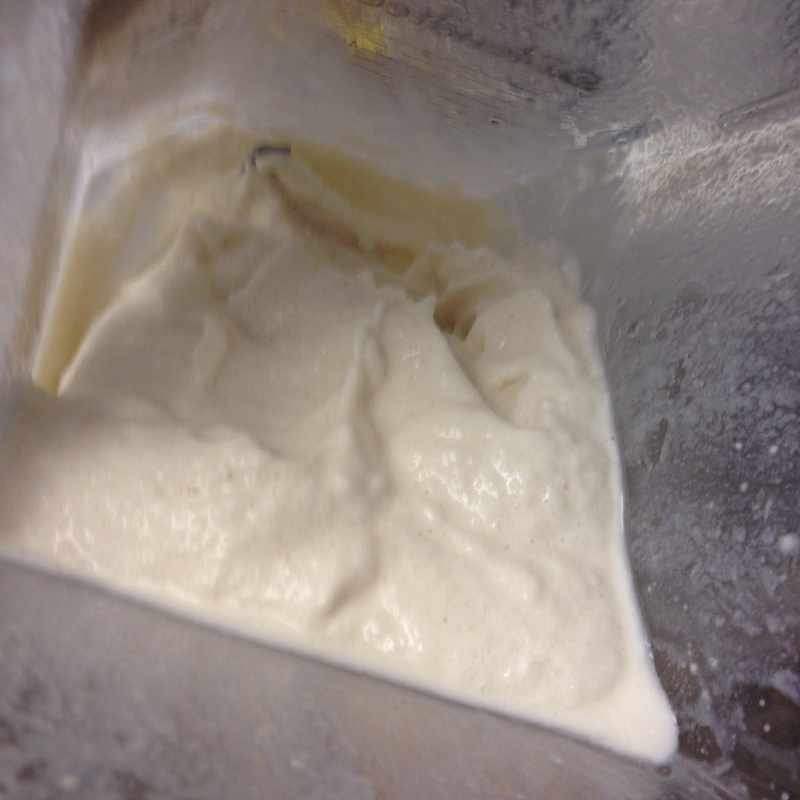 If you have a blender that has different settings, use the “milkshake” setting or one that mixes at a medium speed. Enjoy! You will definitely be sad when the shake is gone! 195 calories, 5 grams of carbs, 5 grams of fat (Depends on the protein powder that you use).